Residents in Chichester District who are looking to improve their physical and mental wellbeing while making a difference to their local environment are being encouraged to join a Green Gym at a local beauty spot. The Chichester Green Gym takes place at Brandy Hole Copse and is run by The Conservation Volunteers (TCV) with funding from Chichester District Council. The sessions run every Tuesday from 11am until 2pm and are free to attend. The Green Gym provides a friendly atmosphere for people of all abilities to work on conservation tasks at their own pace in the fresh air. TCV is a community volunteering charity which aims to bring people together through conservation work in their communities. TCV has created Green Gyms across the country to inspire people to improve their health and the environment at the same time. 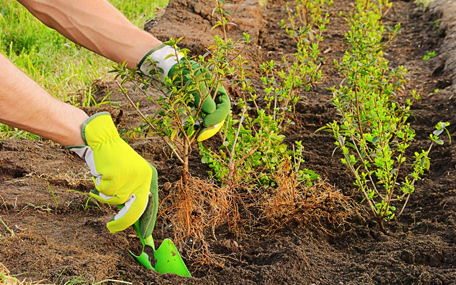 The Green Gym is run by experienced volunteers who provide the skills and equipment needed to help residents tackle physical jobs in the outdoors. Brandy Hole Copse is an area of ancient woodland and is also the first Local Nature Reserve in the Chichester area. Every week a group of around eight volunteers meet at the copse for the Green Gym. The session starts with gentle warm up exercises in preparation for the physical tasks. Volunteers then take part in a range of conservation activities such as cutting back vegetation to allow more light into the woodland, creating a better environment for flowers and fungi to grow, and helping to reinstate the coppice. There is the opportunity to chat with other volunteers over a hot drink and the session ends with a cool down to minimise the risk of injury. Evidence has shown that these low impact activities are beneficial for building and maintaining good fitness levels. Studies have also shown that spending time outside with other people at the Green Gym can improve volunteers' mental wellbeing and self-esteem. The Green Gym is looking to take referrals from the mental health charity MIND, and from GPs to provide an alternative to medication for people suffering from mental health issues. "The feedback from volunteers who have taken part in The Green Gym at Brandy Hole Copse so far has been excellent," says Councillor Eileen Lintill, Cabinet Member for Community Services at Chichester District Council. "I would encourage residents living in the area to come along, meet their neighbours and make a difference to their local environment. "We hope that the Green Gym at Brandy Hole Copse will continue to be successful and will inspire the creation of other Green Gyms across the district. We will be working with the Green Spaces team at Chichester District Council to identify other areas which could benefit from conservation work." To find out more about the Green Gym at Brandy Hole Copse, residents can contact The Conservation Volunteers on 02380 402593.